Summer is the best season for use wonderful dresses because the weather is super perfect. For this reason today I want share today some amazing dresses from this cute store called Stylewe "Designers at Your Fingertips". The summer dresses are the super wonderful and fresh and Stylewe offers a great variety of different designs from a great varierty of designers. You like the indepedent designers? Well this store is the right choice for you. Personally I love it the independent designers because they has an amazing and unique creative mind that creates beautiful and original designs and I love it those dresses that I can´t find in all the stores. This first and colorful mini dress is perfect for me because first is a casual dress and to the same time looks super fresh and comfy perfect for the warm weather. I know that is summer but that doesn´t stops to me me to use a black dress. When I saw this beautiful black maxi dress I fall in love because is so romantic and is chiffon and that means that is super comfy and fresh perfect for a lovely summer night. This wonderful store provides beautiful black maxi dresses for a big quantity of designers around the globe and that is super amazing because you can see that this stores is organized in sections but each section has different designers and you can see each collection and I must confess that "Différentes" (a specified collection) catched my eye because I love it all the dresses and of course one the dresses from that lovely collection is this black dress. I can declarate myself that after the lace dresses my fascination are the floral dresses because are very kawaii. 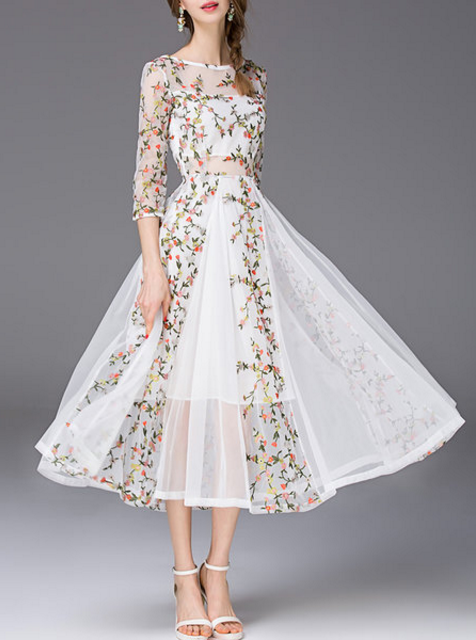 This floral maxi dress is the proof of the elegance and cute dresses that you can find on this webstore. This is a dress that I could in any season definitely but of course is better use this sweet dress during spring or summer. I need say that here where I live all the time is summer and spring because like I said previously in others posts I live in a tropical country. I love it this floral and really pretty dress. Something unbelievable about Stylewe is not only the great variety of items is the great diversity of styles first you can go from a vintage midi dress to a cute and chic mini cocktail dress. 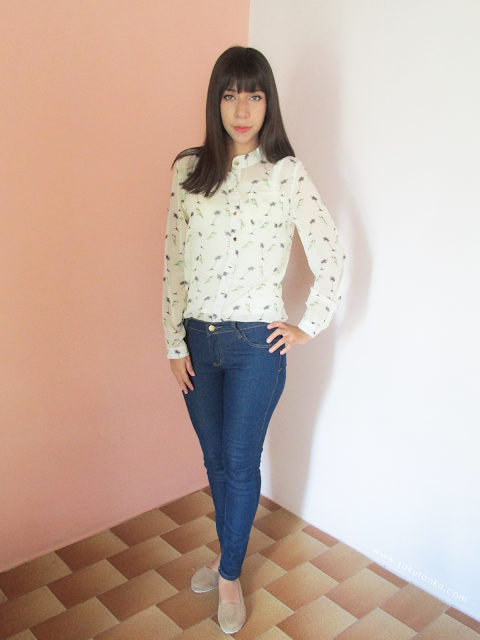 I love it the orginal with high quality products and Stylewe offers that and more. If you are concerned about how pay here in this online store you can pay with your paypal account and of course provides International delivery. I hope this post can be useful to you and you go to visit this cute store. ― Marissa Meyer, Winter "The Lunar Chronicles"
First thing I love it this necklace this pendant is so cute and wow I really love it this kind of accesory. this week I finiched a wonderful book series The Lunar Chronicles and that quote melted my heart. If you haven´t read this serie I want to invite you to read it. I know my posts lately is not so frequently but this past week has been super complicated on my life due so many thingsinvolved. First I was on my finals in fact tomorro I have my last test and now I am oficially on my senior year and I´ll be graduating the next year and so many things are coming to my mind. The past saturday my grandmother passed away~ The worst was that a week before I had to be with her and treat her like a patient because I was to the hospital with her as the only reason. She was talking and she recognized me. She was in a bad state because she suffered a CVA and when I leaved her she recognized me she wanted be in home with her family. But she suffered complications and after been hospitalized a week she died. But now I thing she is in a better place than me. And I started to think how the life is just a point in this huge infinity. And now I can enjoy each second of my life soing what makes me happy because to the final to the way that is the only matters. I hope you enjoyed this short review! That quote is from one of my favortie books and my lasted rated five stars on my review. The reason is because is a really addicting and amazing book and I finished that book in two hours after wait a whole year for that book. 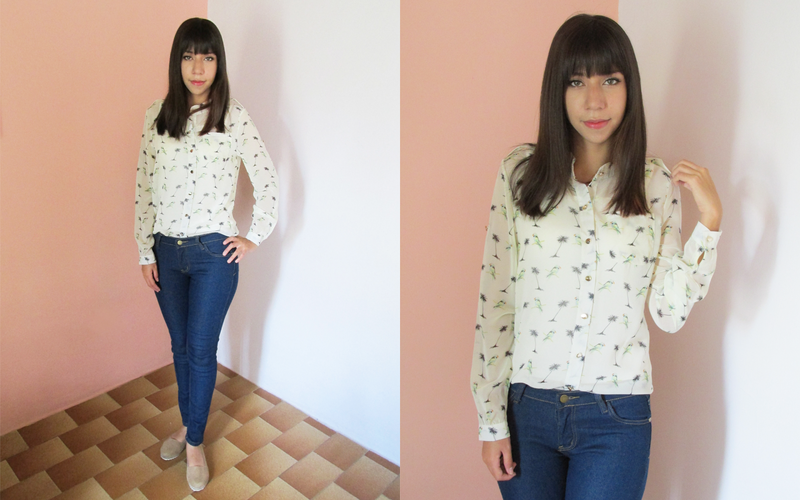 Today I want talk about this fabulous shirt~ Lately I am in love with so many shirts and because the style is different to the blouse that I use usually. I love it this printed shirt in this cream color and the fabric is chiffon and I am a huge fan of this type of fabric because is fresh and perfect for a warm weather. When I did my previous coordinate post with Casual Solid Blue that shirt was size M (US 4) and that was the more small size in this store newchic but for me looks comfy but really big because that is not my size. Something important related to shirts is that If you want looks good buy the right size. I know that sometimes is a bit confused because this shirt is more small and looks better on me and is size S (US 6) But at Newchic says the description where this is this size, but this is our size. Anyway this is real S and looks better than my previous shirt review. I love it the collar of this shirt~ By the way almost forgot mention that the white top inside my shirt comes with this shirt and for me this was a great surprise. ꒰๑ ᷄ω ᷅꒱ And for the same price for me is a big offer! Newchic is a lovely store with a huge variety of items and love it how I can find the propers clothes that fit on my simple style. I want to know your feelings about this look at the comments! I feel so happy to be here writing this review and that is probably because I have several days without any review here and second because I really love it this product. And of course this is one of my favorite korean brands of cosmetics I am talking about the Holika Holika Magic Pole Mascara X2 Long & Curl and for me this is a must have because this product is really amazing and well because I feel this product very magical. 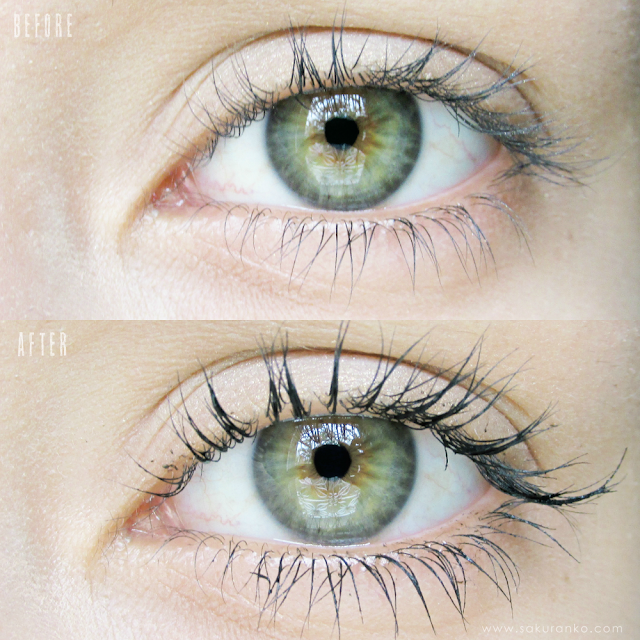 For me this mascara is excellent because offers an amazing volumen on my eyelashes and I don´t have to use falsies. This is the Long & Curl, I published a review around to years ago and wow the time flies about the Volume & Curl but obviously the old version. If you want read my previous review about Holika Holika Magic Pole Mascara Volume & Curl Old Version click there and when I tried this mascara for first time I thought wow the packaging is so magical and pretty but now when I see this new version I feel is even more pretty and magical than the old version. And I was checking my old review and all the pics and wow I feel like oh the before and after is so meh~ Well move on to this new review. This will be a heavy pic post! This product is from the fabulous store Jolse thank you so much like always I love it the customer service of this store because like I mentioned on my Instagram the quality of the reply is very good. And I receive the product very quickly too. Probably thanks to this is one of my favorite stores for buy korean cosmetics. ◉ Packaging + Price: I love it the packaging ٩꒰ ˘ ³˘꒱۶~♡ because first is purple one of my favorites colors. Second because I really love it the trasition with silver metallic and this wonderful purple and I don´t even talk about the box that is super kawaii~nee. Now the price for me is a great offer because all this quality is around $8.78 USD in Jolse. The price is super good and affordable If I remember when i purchased a mascara over $20 USD. - Super gentle with my sensitive eyes. When i tried this mascara I was expecting a great effect and I need to say that if you use mascaras with a regular brush and not a brush like this probably you need a bit of pratice because this brush is a bit big in comparison to the brush of others mascaras. The magic stick is perfect for reach all the eyelashes separates and creates a great effect of long eyelashes. And the magic ball is perfect for create volume and for me I love it the magic ball for my bottom eyelashes because these look more long and i can reach even the more small bottom eyelashes.And you can see all that on my video review. ヾ(*´∇`)ﾉThis product says in the description that is not waterproof but I don´t think that. Because yesterday when I was returning from college started to rain really heavy that is something we call here in Venezuela "Un palo de Agua" because is a lot ot rain It was really heavy rain and so heavy that I arrived to my home soaked and when I saw myself on mirror my mascara It was perfectly even when I didn´t have any eyeshadow on my eyes. By the way I was soaked thanks a great driver that ran close to the sidewalk and I get soaked (that is a sad story for a great review xD). But returning to the point, this is waterproof and smudge proof. I know that is another version that says that is waterproof but since I tried the Etude House Lash Perm Curl-Fix Mascara Brown I decided that always so waterproof is not the best because that mascara is almost impossible to remove even with a good eye makeup remover. But this Holika Holika Magic Pole Mascara X2 is super easy to remove and I really like it that because that is amazing for my sensitive eyes. This mascara is very smudge proof and waterproof to me. Now talking about the formula the long effect is noticieable since the application of a first coat. I recommend this mascara? Completely sincerely I love it this mascara ♡ I would repurchase this product, In fact I am going to buy the new version of Volume & curl but Waterproof to see if there any real difference. I love it this product and for me this is a must have. ＼（＾▽＾）／I hope you enjoyed this post! Happy Mother´s Day~ Sincerely I am really happy to have to my mother to my side and I know so many amazing mom that are bloggers too and that is super amazing because wow be mom is the most heavy work in the world. I am making the review for this product not because this another sponsored product, because not, this is not a sponsored review I paid for this product and yes I bought this product online. And I should have published this review before but I didn´t because i always said: well the next week or well the next month and yeah just like that so now probably after so long time I am publishing this post. This product is the The Face Shop Jeju Volcanic Peel-off Clay Nose Mask 50g Nose Blackhead Pack and this is the oild version packaging the renew pakaging is completely gray. But if you have some time purchasing korean skin care products you should recogize this product. By the way the name of this product is super long. be careful because today I´ll be showing of amazing works this product. Now something I want clarify is this mask is not magical is just one step in the annoying process for remove blackheads and whiteheads. (๑• w •๑)So, this mask works? Yeah really works. I needed put this pic of after use the mask and after clean my nose with a blackhead remover + secret key pore brush + cosrx good morning cleanser. 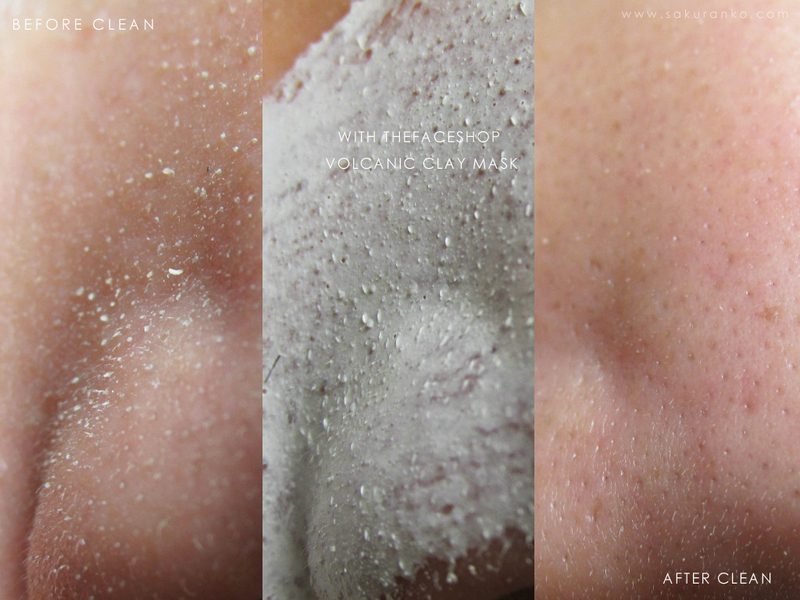 Obviously in the first pic you can see my nose more clean in comparison to the first pic that I show before apply the mask but still there are black heads. Like The Face Shop Jeju Volcanic Peel-Off Clay Nose Mask 50g Nose Blackhead Pack is just one step for remove blackheads and whiteheads is obvious that after peeling the mask there are still some blackheads and whiteheads but with one blackheads remover tool or with a wet q-tip is super more easy remove that annoying whiteheads. 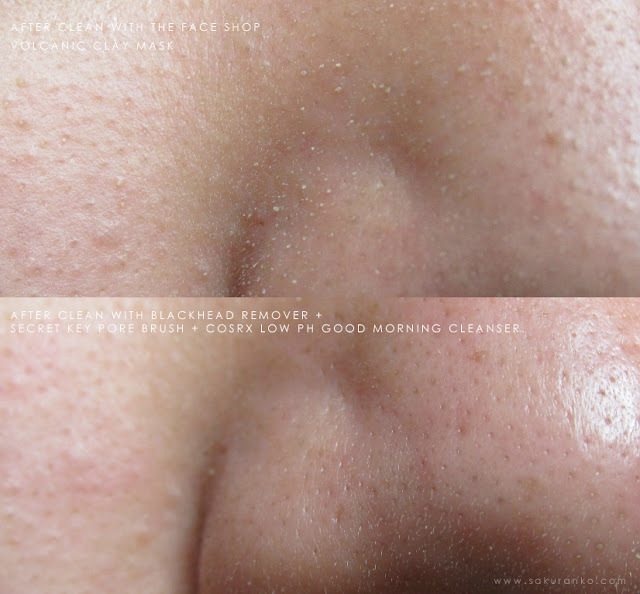 - Super effective mask peel-off for remove whiteheads and blackheads. - Great for sensitive skin. This product is probably one of my favorite korean products and the reason is because is the first peel-off that really works. I tried with nose strip in the past and recent I tried one of my favorite nose strips again the Luke Charcoal Nose Pore Pack Cleansing Strips Peel-Off Mask (｡･w･｡) But sincerely this product is ten times better. But sincerely I like mix both products the Luke Charcoal Nose Strip for twice in a moth. And this for once per month. Now before made this review I tried too The Face Shop Blackhead Out Charcoal Nose Strips that by the way is the cousin of this product because is from the same line from The Face Shop but those nose strips are not so good like the Luke Nose Strips and definitely don´t make justice to this amazing product because this mask peel-off is so good and those nose strips are so meh~ (／￣(ｴ)￣)／Sincerely I am not sure how both products are from the same line and one is so good and the other is so meh. How is the application? Well you apply this sticky mask that by the way has an strong smells to mineral and charcoal and leave on your nose around 15 minutes. And after that time the mask is dry and ready for peel-off. Something I feel is great is that while you are removing this mask is super gentle with the skin and that is great because I have oily and sentive skin and this mask is not harsh with my skin. Like I commented before this is not a magical product but works excellent and for that deserves 5 STARS. But If you have to fight against whiteheads and blackheads you know that only one product doesn´t made magic and that is a constantly and daily fight. I use this mask like a maximun twice per month because i prefer leave my skin rest of peel-off because like I said my skin is sensitve but is truth that you need your pores rest and moisturize. Wow this was a really long conclusion. The question I would repurchase this product? COMPLETELY! And If you want a product that really works for remove whiteheads and blackheads I really recommend The Face Shop Jeju Volcanic Peel-Off Clay Nose Mask 50g Nose Blackhead Pack.